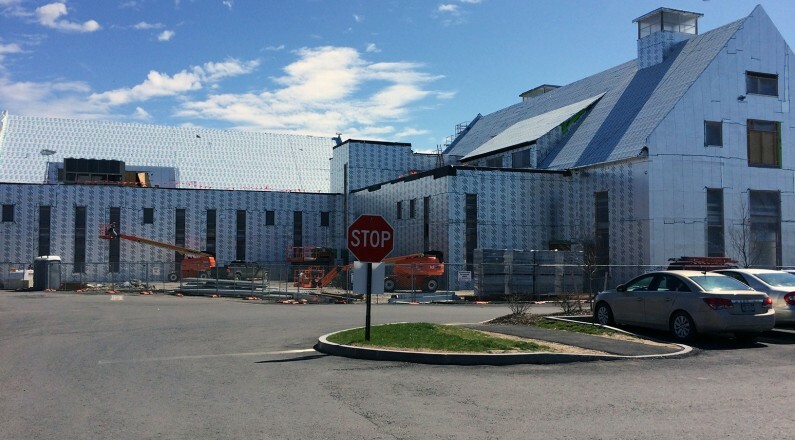 The Hobart and William Smith Performing Arts Center project had many Carlisle products on it from the waterproofing below grade, extending up to the air barrier on the exterior walls and protected by the Carlisle single ply roofing membrane. The project started out with a standard below grade waterproofing membrane from Carlisle Coatings and Waterproofing called CCW Miradri 860/861. 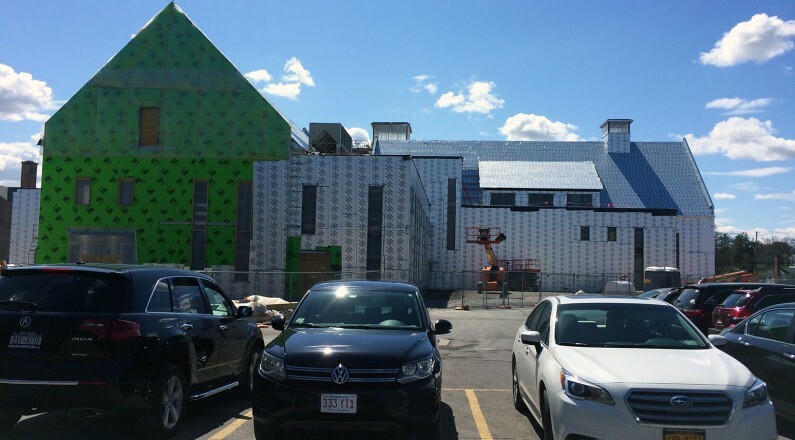 This 60 mil self adhering membrane has become the standard in the waterproofing industry and is one of the easier membranes to install. CCW 860 is typically covered with a composite drainage board that called Miradrain 6200. The drainage board features a polystyrene dimpled sheet mated to a heavy weight filter fabric. The drainage composite protects the membrane during the backfill process and also serves to quickly displace the ground water that would normally build up against the wall. Drainage composites should be used is most scenarios. 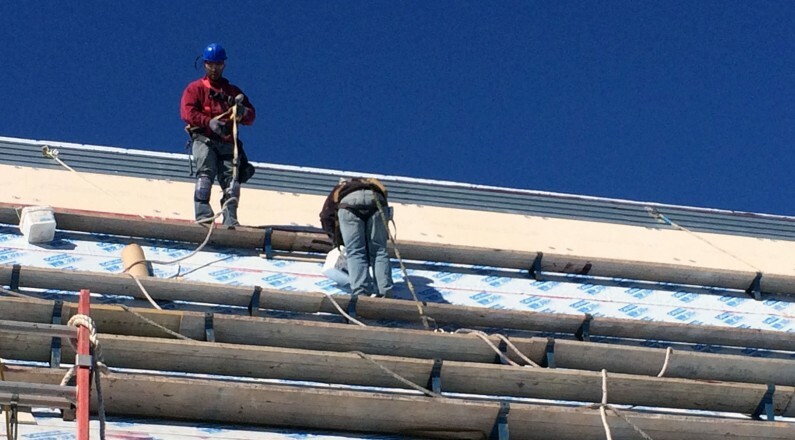 The CCW 705 FR-A air and vapor barrier is a robust membrane that has multiple responsibilities. First, it stops the air from moving through the walls to increase the energy efficiency of the building. 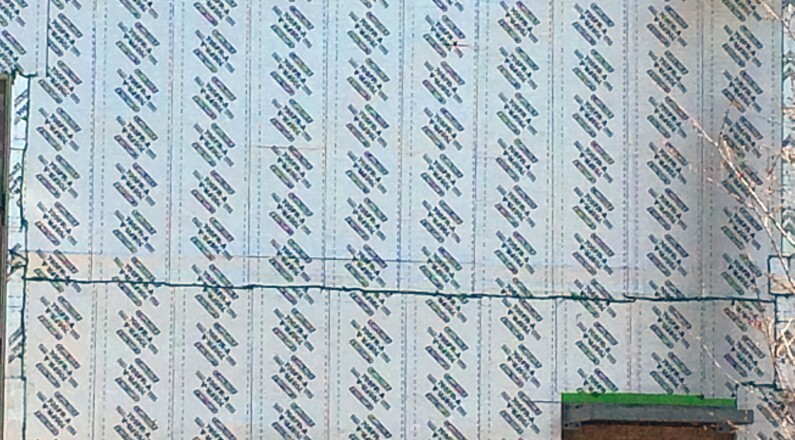 Second, it is the vapor barrier that stops the free-flow movement of vapor through the wall assembly. 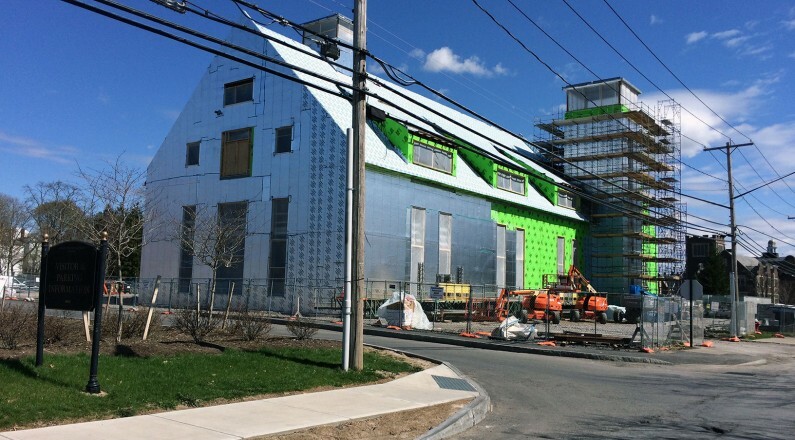 Third, it is one of the few self adhering membranes that completes the NFPA 285 wall assembly that was required for this project. 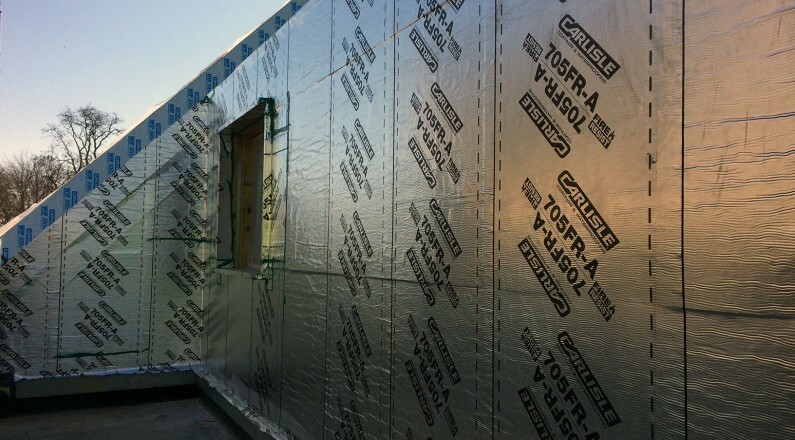 CCW 705 FR-A is a 40 mil thick membrane with a reinforced foil facer. 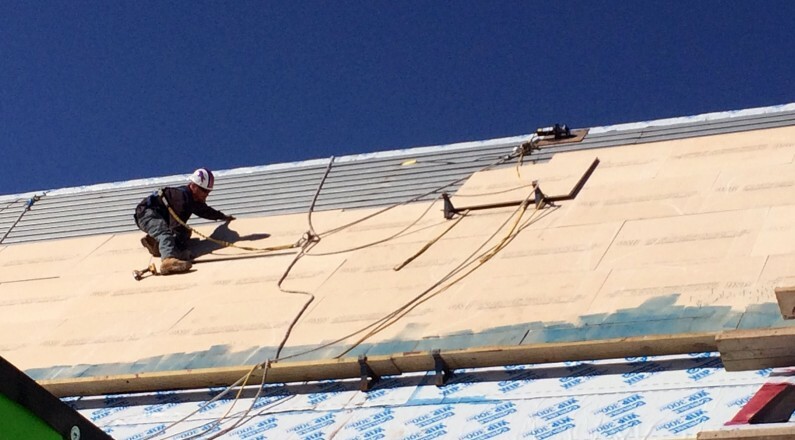 The membrane is easily applied with the Cav-Grip spray applied contact adhesive that many installers insist on using. In keeping with Hobart’s interest in single ply roofing, the flat roof areas on this project were roofed with Carlisle 60 mil EPDM rubber in a fully adhered application. 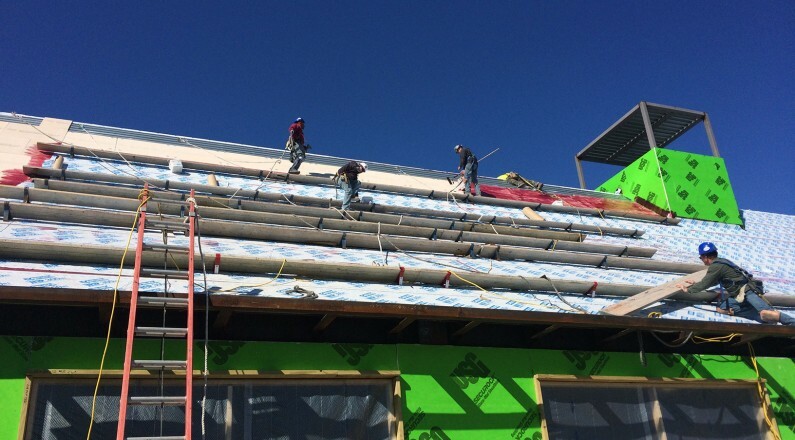 To ensure that adequate pitch was created for the drainage, tapered polyiso insulation was used under the roofing membrane. 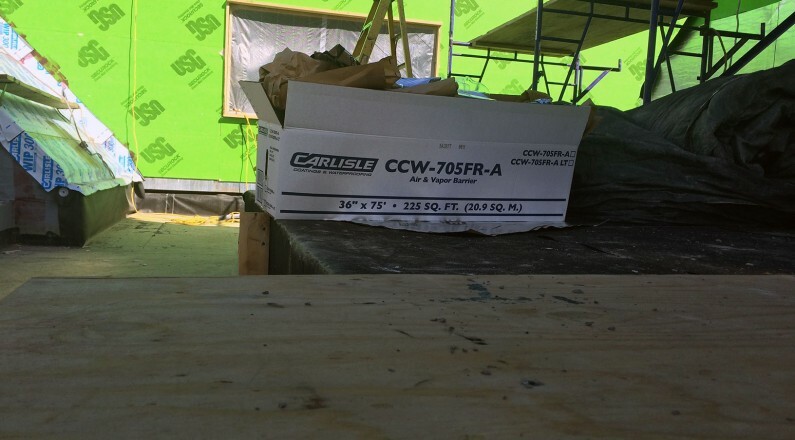 CCW 725 TR is a self adhering vapor barrier that was incorporated into the roofing system at the base layer to ensure water-tightness during the roof installation and to stop vapor from traveling into the roofing system.